never forget all his acts of kindness. Keeping divine commandments is one way of manifesting love for God. Observing the Sabbath is the dominant issue in these days’ readings, so I focus on it. Sabbath is an indication of freedom. When the Israelites were slaves in Egypt, they had no days off. Since they were free, however, they had a day off each week. Violating it carried a death sentence, though. (That was unduly harsh!) The reality of the death penalty for that infraction indicated the importance of keeping Sabbath in that culture, which understood that individual violations led to communal punishment. Our Lord and Savior’s Apostles plucked grain with their hands one Sabbath. This was permissible in Deuteronomy 23:25 yet not in Exodus 34:21. Jesus preferred to cite the former, but his accusers favored the latter. He also understood the precedent David set in 1 Samuel 21:1-6, in which, in an emergency, he and his soldiers consumed holy bread. Jesus grasped a basic reality–people need the Sabbath, but there should be flexibility regarding the rules of the day. In this respect he fit in nicely with his Jewish culture, with its various understandings of Sabbath laws. Life brings too many hardships to endure (often for the sake of righteousness). Fewer of them would exist if more people would be content to mind their own business. Why, then, do so many observant people add to this by turning a day of freedom into one of misery? I suppose that legalism brings joy to certain individuals. May we keep the Sabbath as a day of rest, relaxation, and freedom, not legalism and misery. If we must work on our usual Sabbath, may we keep Sabbath another day. restore the fortunes of Jacob! The theology of the narrative in 1 Kings 18 holds that God is in control of nature and that the long drought is a form of divine punishment for idolatry. At the beginning of the chapter the drought has entered its third year. At the end of the chapter, after the slaughter of the priests of Baal, the drought is over. 1 Kings 18 contains at least three signs–drought, the consumption of Elijah’s offering, and the end of the drought. The greatest sign in all of the Bible was the incarnation of the Second Person of the Holy Trinity as Jesus of Nazareth. Our Lord and Savior performed many miracles, some even over long distances. Were those signs insufficient? Some Pharisees and Sadducees, whose sects were traditional adversaries, acted as if these impressive signs were irrelevant and insufficient. Maybe they chose not to believe because of the high costs to them in the realms of economics, politics, psychology, and social status. Whatever their reasons for rejecting Jesus, their question was insincere. Not even the sign of Jonah–a reference to the death and Resurrection of Jesus–convinced them, for they had made up their minds. They did not want facts to confuse them. St. Paul the Apostle got into legal trouble with such people within living memory of the Resurrection. God, it seems, send signs at the times and in the ways of God’s own choosing. Often these times and methods are far from those we expect, so that reality upsets us. Furthermore, the content of these signs upsets our apple carts, threatens our identities, and calls into question some of our most beloved establishments much of the time. 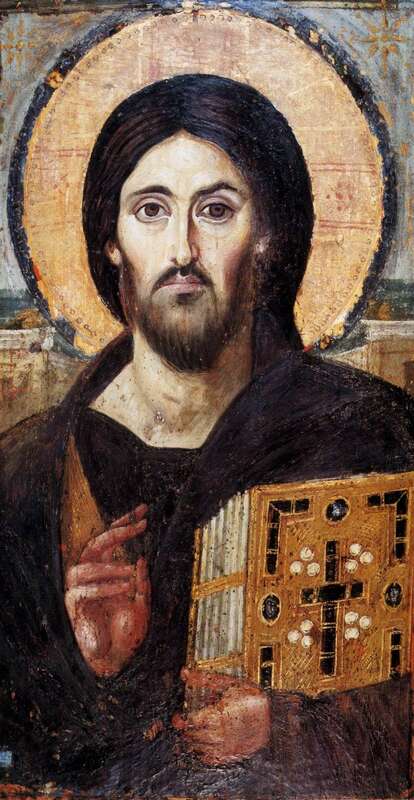 Consider Jesus, O reader. His mere newborn existence proved sufficient to unnerve a tyrant, Herod the Great. Later, when Jesus spoke and acted, he called into question the Temple system, which exploited the masses economically and aided and abetted the Roman imperial occupation. In so doing Our Lord and Savior crossed paths with Roman authorities and questioned a system which gave some people economic benefits, psychological reinforcement, and social status, none of which they wanted to surrender. The signs of Jesus continue to challenge us in concrete examples from daily life. Have we excluded or marginalized anyone wrongly? The words and deeds of Jesus confront us with our sin. Have we exploited others economically or made excuses for an economically exploitative or related practices? The words and deeds of Jesus confront us with our sin. Have we favored the security of empire and/or military might over the freedom which comes from trusting God? The words and deeds of Jesus confront us with our sin. They also call us to repent–to change our mind, to turn around–and offer forgiveness when we do, by grace. With this post I change translations again. This is a helpful practice, for it refreshes one’s view of the Scriptures. My studies of French have revealed to me the accuracy of the statement that any text loses something in translation from Language A into Language B. So, as I read and study the Bible in English, I seek out various translations. What one version misses, hopefully another retains. And this practice helps me to read and hear the texts as if for the first time, for the familiar cadences of the Authorized (King James) Version, with which I grew up, can become obstacles to paying attention to the content. This principle holds true, regardless of which translation to which one’s brain is attuned. So, for the next unknown number of weeks, may we read and hear the words of Scripture according to the great Jerusalem Bible, from 1966. From Paul, Silvanus, and Timothy, to the Church in Thessalonika which is in God the Father and the Lord Jesus Christ; wishing you grace and peace. We always mention you in our prayers and thank God for you all, and constantly remember before God our Father how you have shown your faith in action, worked for love and persevered through hope, in our Lord Jesus Christ. We know, brothers, that God loves you and that you have been chosen, because when we brought the Good News to you, it became to you not only as words, but as power and as the Holy Spirit and as utter conviction. And you observed the sort of life we lived when we were with you, which was for your instruction, and you were led to become imitators of us, and of the Lord; and it was with the joy of the Holy Spirit that you took to the gospel, in spite of the great oppression all round you. This has made you the great example to all believers in Macedonia and Achaia since it was from you that the word of the Lord started to spread–and not only throughout Macedonia and Achaia, for the news of your faith in God has spread everywhere. We do not need to tell other people about it; other people tell us how we started to work among you, how you broke with idolatry when you converted to God and became servants of the real, living God; and how you are now waiting for Jesus, his Son, whom he raised from the dead, to come down from heaven to save us from the retribution which is coming. Alas for you, scribes and Pharisees, you hypocrites! You who shut up the kingdom of heaven in men’s faces, neither going in yourselves nor allowing others to go in who want to. Alas for you, scribes and Pharisees, you hypocrites! You who travel over sea and land to make a single proselyte, and when you have him you make him twice as fit for hell as you are. Alas for you, blind guides! You who say, ‘If a man swears by the Temple, it has no force; but if a man swears by the gold of the Temple, he is bound.’ Fools and blind! For which is of greater worth, the gold or the Temple that makes the gold sacred? Or else, ‘If a man swears by the altar it has no force; but if a man swears by the offering that is on the altar, he is bound.’ You blind men! For which is of greater worth, the offering or the altar that makes the offering sacred? Therefore, when a man swears by the Temple he is swearing by that and the One who dwells in it. And when a man swears by heaven he is swearing by the throne of God and by the One who is seated there. 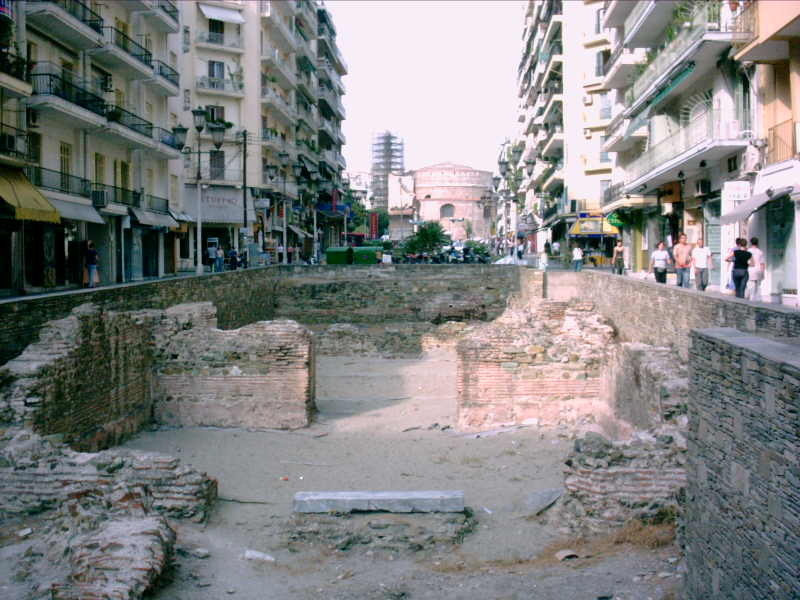 Acts 17:1-10 tells of the Apostle Paul’s short (three weeks or so) stay in Thessalonica (modern-day Salonika), a prosperous crossroads and center of commerce in Greece. He met with much hostility from certain Jews, but apparently made a strong and favorable impression on other people, as 1 Thessalonians 1:1-10 testifies. This epistle dates to approximately 50 C.E., a fact which places it roughly equidistant in chronology between the crucifixion (one of Paul’s great themes) and the writing of the Gospel of Mark, the earliest of the canonical Gospels. So, when we read 1 Thessalonians, we read one of the oldest documents of the Christian faith. Paul needed to plant Christianity in Thessalonica because of the three most important factors in real estate: location, location, and location. The road that connected Rome to the East was the main thoroughfare in Thessalonica. So planting a church there helped to spread the Good News of Jesus to many other places. Paul was in very good spirits in Chapter 1. His mood darkened as the epistle continued, however. But let us not get ahead of ourselves. The Canadian Anglican lectionary I am following covers almost every word of 1 Thessalonians, so I will get to the rest very shortly. For now let us focus on the text for today; Paul opens with praise for the renowned faithfulness of the Thessalonian congregation. He had drawn them to Christ by a lived example, and they were doing likewise for others. 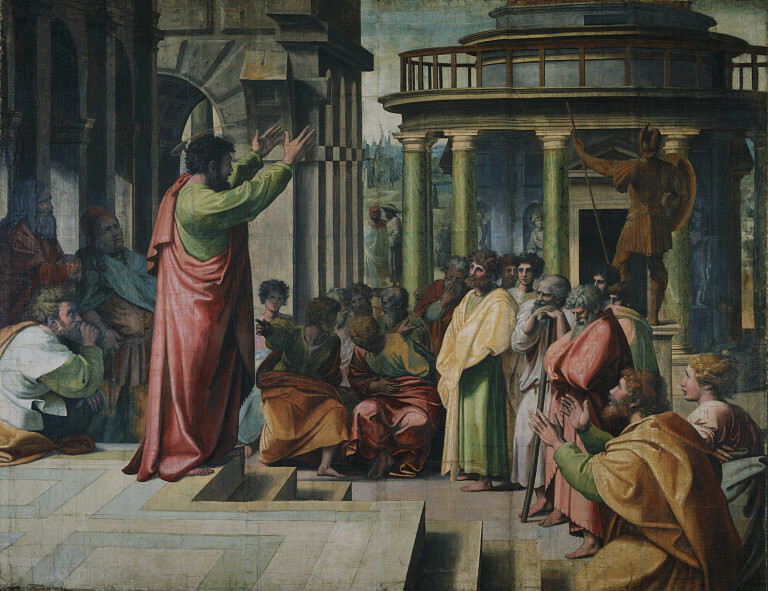 Paul had been a positive influence. Jesus, in contrast, was angry in Matthew 23. As much as I have strong disagreements with the Jesus Seminar, I must admit that their Annotated Scholars Version of the Gospels is the most direct rendering of that text for today. (So much for the Sweet Jesus of many juvenile Sunday School classes!) But it is clear that Jesus was not being sweet in Matthew 23. Rather, he was being justifiably critical of professional religious people who imposed needless religious burdens on well-meaning individuals. These religious elites were, as we say in North America, too clever by half. They favored ridiculously complicated rules about when swearing an oath was valid. Jesus cut through these traditions like a knife through soft butter; all religious oaths involved God. is my paraphrase of Jesus here. Again, you have learnt how it was said to our ancestors: You must not break your oath, but must fulfil your oaths to the Lord. But I say this to you: do not swear at all, either by heaven, since that is God’s throne; or by the earth, since that is his footstool; or by Jerusalem, since that is the city of the great king. Do not swear by your own head either, since you cannot turn a single hair white or black. All you need say is ‘Yes’ if you mean yes, ‘No’ if you mean no; anything more than this comes from the evil one. Be careful not to parade your good deeds before men to attract their notice; by doing this you will lose all reward from your Father in heaven. Jesus was not always sweet, but he was inspiring and wise. He still is.